A tribute to Chester Bennington of Linkin Park. This Human Condition performed a tribute to Chester in London at an EMOM event (Aug 2017) and have been performing it ever since. This Human Condition is mentioned in the Huffington Post as part of the album review[http://www.huffingtonpost.com/morena-duwe/new-album-reviews-teknofo_b_9544002.html] The track 'Rise' has been played on BBC Radio6Music BBC introducing by Tom Robinson [https://soundcloud.com/this-human-condition/rise-on-bbcintroducing] in June 2016 and featured on Tom's personal mix tape. Rusty Egan (Blitz Kid, Visage, Ultravox) has played 4 tracks from Project Zero on his Electronic Family Tree Radio Show [https://www.mixcloud.com/rustyegan/etf-2016-06-25/] Jim Gellatly has played Telepathic Heights and Breaking The Code on his radio show on Amazing Radio [http://amazingtunes.com/thishumancondition/thc] The duo ran 2 successful completed Pledge Music campaigns to help fund the making of their EP & LP [http://www.pledgemusic.com/projects/thishumanconditionrise-ep] & [http://www.pledgemusic.com/projects/thishumancondition-projectzero] The duo consider themselves mostly a D.I.Y band and self-manage. Although the duo is signed to a small independent label this mostly means Teknofonic deal with the digital side of releases. Press including Huffington Post, Songwriting magazine, Electronic North, Essentially Pop and Shining Lights. In the summer of 2017, This Human Condition performed at Glastonbury Festival and interviewed after on Worthy FM. As well as Rough Trade in Nottingham and Pride in Weston Super Mare. Breaking The Code was shortlisted for Listen up Britain and the duo performed it at Birthdays in Dalston, London. In 2018 the duo put out 3 new releases in March the "Transcnetury" EP followed by the single 'Living For The Summertime' in June and the 'Normal People Are Crazy' EP in August. This Human Condition is included in the A-Z of Bristol Bands at the Bristol Music: Seven Decades Of Sound exhibition at the M-shed and hosted an electronic event called EMOM at Rough Trade in Bristol as well as performing the night was a great success and helped showcase the electronic community in Bristol. This Human Condition is Jamie Jamal & Misterminchie formed in Bristol (UK) in 2015. An electronic duo blending many different styles of electronica including house, synth-pop, trip-hop, dubstep, trap, even calypso, Creating a sort of electronic pick n mix, they describe their genre as Handbag Electro punk! on BBC6-Music by Tom Robinson. The duo was included in the A-Z of Bristol bands at the Seven Decades Of Sound exhibition at the M-Shed in Bristol in 2018. DJ Rusty Egan (Visage, Ultravox, Blitz Kid) has championed This Human Condition on his Electronic Family Tree radio show since they began and playing most releases. Singles include Telepathic Heights (2016) and Breaking The Code (2017) in early 2018 the duo released a new EP 'Transcentury' featuring lead track Disco Bunny followed by a new single 'Living For The Summertime' a synth-pop track about going to Glastonbury Festival. The duo got to give Michael Eavis the first copy when they met him in June 2018. The duo has performed at venues such as Rough Trade, The Fleece, Bierkeller, Lousiana, and Crofters Rights in Bristol. The recent 'Normal People Are Crazy' EP and Normal (Mixes) are currently doing the rounds. Mixes released January 18th, 2019. 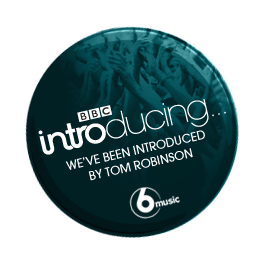 BBC Introducing - Tom Robinson has played 3 tracks by This Human Condition on his BBC6Music radio show. Bristol-based ‘electronic pick n mix outfit’, This Human Condition are ‘Living for the Summertime’ with their Neo-Synth-Dance-Pop mélange, latest release. Cloud light, floating synth pads are contrasted and driven well by flanged up Linndrum style beat, evocative of iconic 80s tracks, like Prince’s mini-epic, ‘When Doves Cry’. This Modern Electronic Punk track wonderfully blends Modern Punk surreal melodies with Classic Electronic instrumentation that feature a funky bassline, progressive synth chords, and magnetic electric drums. This fusion keeps the power surged without any monotony settling into the track. Jamie Jamal leads the track vocally strong with a nice forgiving effect that allows his voice to ebb while Mister-Minchie supports the track’s fancy-free effect with his artfully backing vocals. As of May 18th, 2018 Rough Trade in Bristol will be selling This Human Condition's Music. This Human Condition is back with a new EP called Transcentury. The result is 4 electronic tracks inspired by flamboyant characters. Transcentury is a made up word by the band, meaning people who are not afraid to be different and stand out from the crowd. The title track invites you into their world and lists the people and the albums they are inspired by and has a dance & experimental feel. Disco bunny is a positive upbeat futuristic disco-inspired track about a street performer called Pablo who dresses up as 'The Disco Bunny’. Sapphire is atmospheric synth about a man on the streets of Bristol (UK) who dresses in women's clothing and looks like a carnival queen. Anthemic “Pride In All Of US’ is about LGSM activist Mark Ashton (Pride Movie) and is documentary in style. Mister Minchie and Jamie Jamal talking music. Where can I buy Project Zero + Rise on CD? Living For The Summertime is a Synth-Pop track all about heading down to worthy farm (Glastonbury Festival) In 2017 This Human Condition performed on the Mini Pyramid stage at Glastonbury Festival, this song is inspired by that experience and their love for early electronic music. Listen to the single premiered on Rusty's Electronic Family Tree Show on Artefaktor Radio. The Mark Ashton Trust shared a post about Pride In All Of Us. LGSM pinned a post about Pride In All Of Us to their twitter. Breaking The Code - Single Release. This Human Condition’s second single from their debut album ‘Project Zero’ is set to a dark, twisting and introspective atmosphere with Erasure-esque soundscapes. Written on the day Alan Turing received a posthumous royal pardon, ‘Breaking The Code’ is a tribute to the enigma code breaker. By strange Coincidence released on January 31st, 2017. The Same day as thousands of gay people was pardoned for past convictions. The release features two contrasting remixes from Sauerwelt and LPF. Breaking The Code is available on every platform including Spotify, iTunes, and Deezer. Jamie and his Mum met Michael Eavis on 12/6/18 in Bath. Mister-Minchie was there but too shy for a photo with the Legend. They presented Michael with a copy of their new single and told him it was about the excitement of going to his festival. Michael asked Jamie if he went to the festival in 2017? Jamie replied Yes I did, I also performed on the Mini Pyramid at Williams Green with my band. "Oh did you how marvellous", he said. "I'm Thrilled you have taken the trouble of writing a song about my festival"
Copyright This Human Condition. All rights reserved.